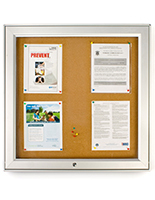 Cork boards, like display boards, information boards, and tack boards are pragmatical in offering a place to post announcements. 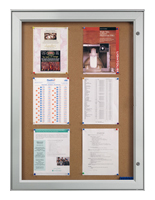 Our cork boards are exterior-rated and resistant to weather. 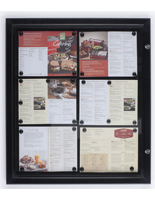 These cork boards employ a black gasket for a tight barrier. 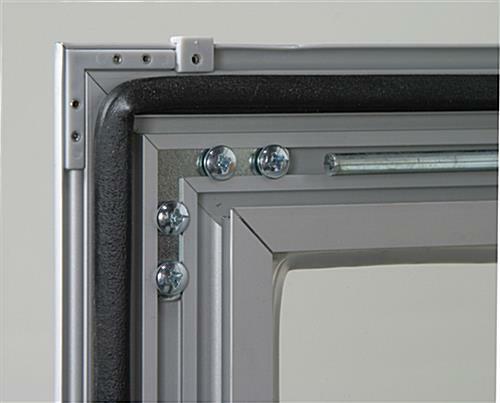 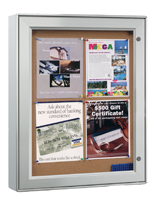 The notice board's frame is made of aluminum. 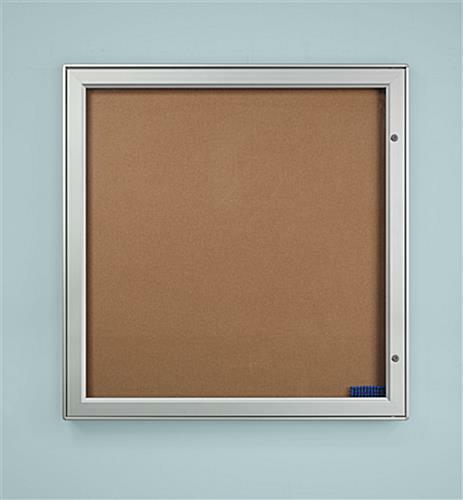 We extend the cork boards with a lockable door for security. 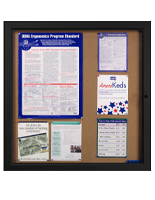 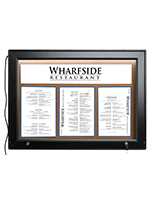 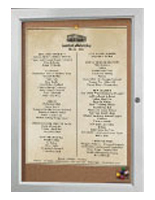 These large-format information boards can hold (12) 8.5" x 11" pages. 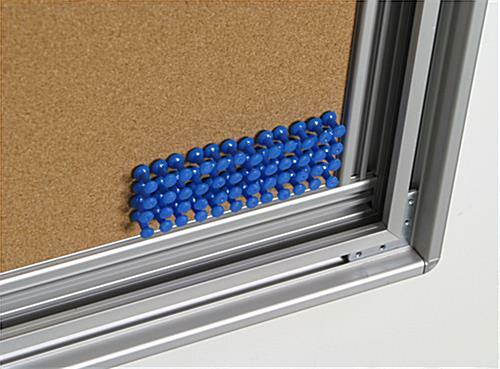 The cork boards can be mounted in three varying methods contingent on installation. 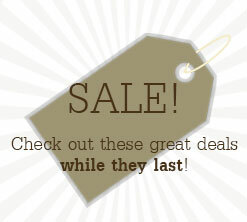 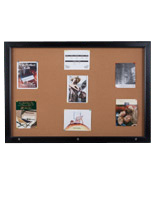 These cork boards are an economical alternative to more highly priced cork boards and even come with a set of pushpins. 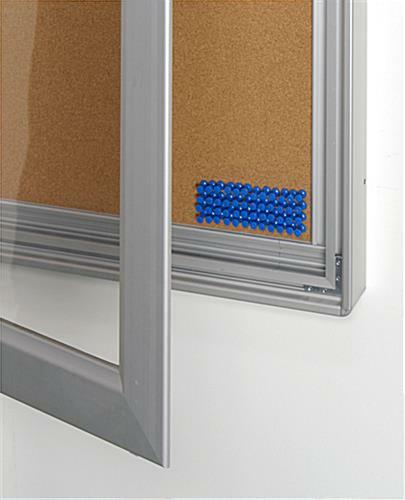 If you are seeking for cork boards, tackboards, or pin boards, appearance no further!